Leading Leicester-based house builder, Jelson Homes, says that Leicestershire home buyers could be missing out on their dream property and not taking advantage the lowest interest rates in a generation because of myths surrounding the Mortgage Market Review (MMR). Introduced in April to ensure borrowers are not offered loans they cannot afford, the MMR has resulted in lenders undertaking in-depth analyses of buyers’ spending habits to determine whether they can afford a mortgage. But it seems that many are missing out on a golden opportunity because they mistakenly believe that the extra application checks have locked them out of the mortgage market. George Bell from Meridian Mortgages, Jelson’s financial partner, says that now is the best possible time to buy a new home because of the 0.5 per cent base rate, which has been in place since 2009. 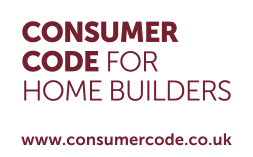 As a result of this, high-street lenders have been bringing out attractive mortgage products for many categories of buyer, including those who are using the Government-backed Help to Buy scheme. Bell adds: “Leeds, Nationwide, Skipton, and Santander all offer products for first-time buyers right through to those with larger deposits. “Although the MMR was originally intended to root out bad borrowing, it has also had the effect of frightening off customers who are perfectly able to afford a mortgage. There are also myths that the process is now horrifically complex – and that’s just not true. “Lenders have quickly adapted and, in fact, responsible lenders like Halifax have had similar systems in place for up to 10 years, so there is little to be worried about. Jelson Homes’ sales director Graham Jelley, added: “Many people have certain pre-conceived ideas about mortgage availability, which can so often be inaccurate. “With this in mind we are pleased to announce that, in association with Meridian Mortgages, a brand-new helpline has now launched for those in need of independent advice before reserving a Jelson property.. Would-be home buyers should contact the Jelson mortgage helpline number on 0116 272 0083, then selecting option one.  Be sure to quote ‘Jelson Homes’ when you call, as it will qualify you for no-fee initial discussion and advice. The helpline is open seven days a week, 10am-6pm, and until 7.30pm on Thursdays.